If you had to estimate what percentage of your annual energy expense goes to just heating your home, what would you guess? 40 percent? 50 percent? A whopping 63 percent is what the average Canadian homeowner spends just for heat during the cold season, according to Natural Resources Canada (NRC). Here, it stands to reason that the more efficient your household heating system is, the more you can chip away at that 63 percent of your utility bill that is dedicated just to heating your space. You could retro-fit your existing heating system to improve energy efficiency. You could insulate your current system for greater energy efficiency. 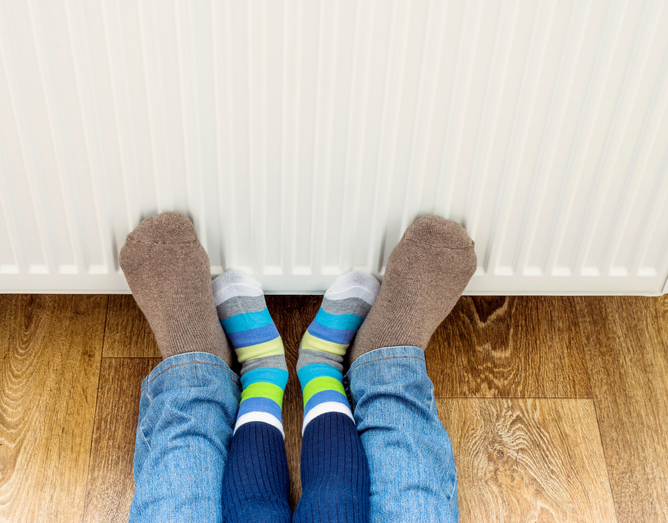 You could upgrade to a new, energy-efficient heating system. If you choose the latter, you may decide to stick with what you know or switch to a new heating system. A heating boiler is one option that has increased in popularity for a number of reasons, including flexibility of energy sources and high efficiency with precise temperature control. In this article, learn the basics of heating boilers to decide if this might be the right new heating system for you. There are two main types of heating boiler: hot water or steam. In either case, the boiler draws energy and uses it to heat the water. The heated water or steam is then sent through a radiator or pipe system to heat up the space. In this way, heating boilers use zone-based heating for more precise energy use, making it easier to save on heating costs. Of the two types of heating boilers, the hot water-based system is considered slightly more energy efficient, since the water doesn’t need to be heated as much and there is less potential for the heat to escape in the form of steam. Here, adding additional weather-stripping, sealant, and insulation can increase the efficiency of a steam boiler to comparable levels with its water-based boiler counterpart. Estimated lifespan: 15 to 30 years. Estimated efficiency: 50 to 90 percent, depending on the boiler’s age. Fuel options: Electric, natural gas, propane, heating oil, biodiesel fuels. The U.S. Department of Energy’s Energy Star program uses a measurement called annual fuel utilization efficiency, or AFUE, to calculate the efficiency of the new Energy Star-rated heating systems such as heat boilers. The AFUE rating tells you how efficiently a given heating system consumes and uses energy when placed into an ideal environment. An ideal environment is a space that has been prepped with weather-stripping, insulation, and sealant to minimize heat loss. In such an ideal environment, a 90 percent AFUE-rated heating boiler would be able to convert approximately 90 percent of the energy it draws into pure heat for the home, with a 10 percent possibility of heat loss through the vents, chimney, open windows or doors, and other similar sources. A heating boiler’s ability to maximize energy use depends on its design. For this reason, newer heating boilers are much more energy efficient than their older peers. While a heating boiler system may have a lifespan of 15 to 30 years, the level of energy efficiency drops to 50 percent in older systems. But how does a lower level of energy efficiency potentially impact your annual temperature control costs? 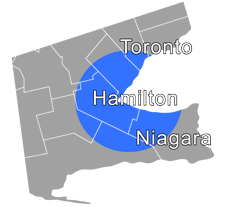 The Financial Accountability Office of Ontario (FAO) estimates that the average household spends $2,358 annually on energy for temperature control costs. According to Natural Resources Canada (NRC), when you upgrade to an Energy Star-rated heating boiler, you can count on saving money on your annual energy costs. 4 percent (fueled by heating oil), or up to $94.32 each year. 10 percent (fueled by natural gas) or up to $235.80 each year. 15 percent (fueled by electricity) or up to $353.70 each year. With annual energy savings like these, it is easy to see how upgrading to a new, energy-efficient heating boiler can easily pay for itself and also begin cutting your energy costs in short order! What Else Can a Heating Boiler Do? Today’s heating boilers can do a lot more than just provide zoned heat to your home space. Provide you with hot water for cooking, washing, showering, etc. Make use of existing heating distribution systems including in-floor radiant systems and radiators so you don’t have to install ducts. Make use of electronic ignition to reduce safety issues and energy waste associated with gas-ignition pilot lights. Today's heating boiler systems are very low-maintenance. One annual inspection and maintenance service call is all that is needed to keep one of the new Energy Star heating boiler systems running smoothly. Check the integrity of the insulation around the hot water pipes and repair/replace as needed. Empty trapped air from the radiators semi-annually to make space for hot water or steam. Clean and vacuum the radiators to reduce dust, dirt, and debris, which represent a fire hazard and are in-home allergens. Check to make sure the expansion tank water level is where it needs to be. Would you like to learn more about how choosing a new, Energy Star-rated heating boiler could save you money on annual heating costs? Give us a call at 905-549-4616! And be sure to play our holiday Golden Savings Scratch & Win game, where you can win up to $1,000 off on a new boiler, furnace, AC, or combo system!